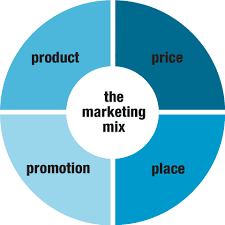 A marketing mix refers to the strategies a firm applies to market its products and services and delivering them to customers. The major contents of the marketing mix are product, price place and promotion, referred to as four Ps. Product is the good, service or the idea being sold. The nature of the product defines the target market. On the other hand, price is the value of the product or the service and generates the sales revenue. Place is the location of the product or where the firm sells its goods or services, also known as the distribution. Promotion refers to the ways through which the company communicates the attributes of the product or the service to its target customers. These include; advertising, public relations, promotions and direct marketing. This paper will show how a marketing mix is applied by a job seeker. I am a holder of Bachelors in Events Management a course that has equipped me with the skills to organize and oversee events like launching of products, fundraising for different purposes, corporate meetings, gatherings be they personal or public. Consequently, I have acquired skills such as financial reporting, event bidding and consumer behavior. This knowledge will help me be responsible for the process of managing various events. My skills suit this company given it is a multi-national dealing with mobile phones and other communication gadgets. The launch and promotion of these products require my skills. On top of my Events Management degree, I have Diplomas in Spa nish and French too. I am currently undertaking a Diploma in Public Relations a course that will better my client dealings and service delivery. I would like to work in the company’s branch in Europe. This is because Europe has a diverse client base who speak English, Spanish and French languages that I am familiar with. This coupled with my exceptional skills will drive the company towards increasing its market presence in Europe. I am however not limited to this region. The appropriate salary would be forty-five thousand dollars per annum after tax. This is a fair price for my skills and knowledge considering I will be responsible for the successful launch of company products as well as ensuring meetings with current and prospective clients go smoothly. My excellent communication skills and the knowledge of Spanish and French enable me to meet a wide array of clients thus increasing the market share of the company. Customer equity refers to the potential benefits that will accrue to a firm in the customers’ lifetime. It is, therefore, the loyalty a client has towards a product. Customer equity comes in three forms; value equity, relationship equity and brand equity. Value investment is also value for money. My employers get their value for money from my skills and unrivalled commitment to work. I present relationship capital to my employers since they get a diverse employee who can fit in both their local and foreign markets. This makes the company prefer and retain me as an employee. Brand equity comes in the form of the relationship between a customer and management. Given the skills acquired from public relations course enables me sell the company better growing its brand name and giving an edge over competitors. Customer satisfaction is the degree to which a firm’s products and services meet and exceeds customer expectations. My commitment, competency and assorted skills guarantee high-quality work that employer’s demand. The price “salary” correlates with the quality of my product “skills” yielding maximum satisfaction to my employers.